* The Daiquiri - historic plantation drink, or early 20th century USA-Cuban fusion invention? * PLUS, Hemingway - was he a Daiquiri or Mojito man? * PLUS has the Havana bar scene re-written mojito history to make more money? What are the essential Balinese condiments, spices & fruits? Why they eat more duck than chicken in Ubud, Bali. "People assume that “satay” just refers to the “spicy peanut sauce” but the word actually refers more to the skewered meat." "In Ubud, Bali, Duck is more popular than chicken or pork because ducks live in the numerous rice paddies of the region, helping to kill insects, clean the environment while simultaneously contributing their own waste as fertilizer for the rice." Famous Corfiot dishes & Ingredients. We discuss the stories of the most important local foods. Venetian-Greek fusion cuisine. How Venetian rule and the spice trade created a unique Greek island cuisine not present in other parts of the country. The lost art of Corfiot cooking. How the tourist boom destroyed local culinary tradition and how one woman has been trying to revive Corfu’s most historic dishes. PLUS: Food Made With Wine! Will we actually find any traditional Corfiot food that is not cooked with booze in it? Tune in to find out. Is the Cuban sandwich truly Cuban? Or a Cuban-American Fusion Dish? What makes a proper Cuban sandwich more than just a pork sandwich? Plus, salami or no salami? The Tampa vs. Miami debate. The 50 million year story of apples - How almost every apple we eat today originates from one apple variety from Central Asia. The origin of cider - who invented it? And when? Commercial Cider vs. Craft Cider - what to look out for. The story of Johnny Appleseed and cider in the USA. "One of America’s biggest folk heroes, Johnny Appleseed, took it as his life’s mission to create new orchards across America. Unlike apple trees in the past, which were mainly grown from grafts taken from other trees that came from Europe, Johnny Appleseed, only planted new trees from seeds - as nature intended. * Ancient Foods Of Romania - 2 dishes that have probably been made in the region for at least 2,000 years and are still hugely popular today. * Plus a Romanian dessert that will make your tastebuds sing with joy! The full article includes more than 40 foods and drinks to try in Romania. We discuss highlights from our trip Greek Island hopping in the Aegean. Taking a small luxury yacht between hidden coves and quaint Greek waterfront villages, swimming in crystal blue water straight off the boat and sleeping under the stars. Cooking classes and being cooked for on the boat. Our captain was also a trained chef which made the whole island hopping experience even more of a foodie trip. Also, if you want to go on a voyage that is not with us, just head to sunfunyou.com for more info on booking a place. 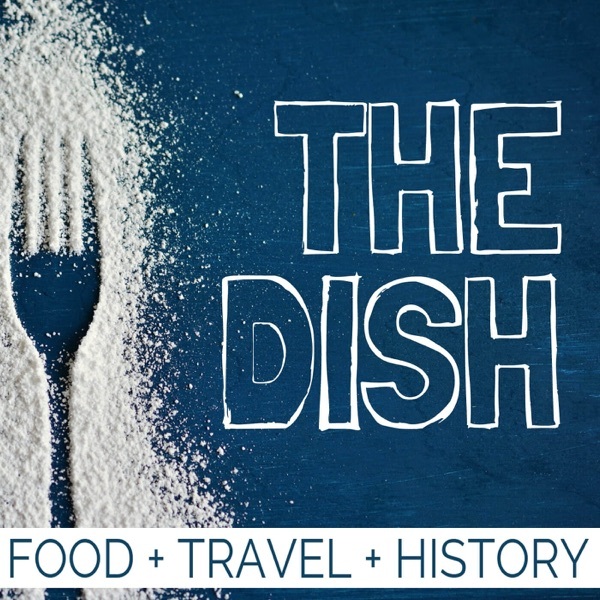 And once again, email us at megsy@foodfuntravel.com to let us know if you have initial interest in joining us for a foodfuntravel voyage in September 2019, or in 2020 because we may want to do this every year! Who invented the Lasagne, and when? Was it even the Italians, or did Greece or the UK invent it first? PLUS, a local rivalry, who’s Lasagna is the best! 4 of the superstar Ingredients of world cuisine originate in Emilia Romagna. We Discuss how these ingredients form the base for many of the best dishes in Bologna. We reveal our favourite Bolognese dish, which is barely known outside of Italy. PLUS, a cake made of tagliatelle… only in Italy! Have you been drinking Mezcal and Tequila all wrong?! Learn the way the pros taste these spirits. We explore the history of Tequila and the history of Mezcal. Some Agaves used to make Mezcal can take over 35 years to mature before they are picked. Learn about the fascinating process behind every bottle of Mezcal. PLUS is Mezcal a wonder drink that will not give you a hangover? Our verdict! Khachapuri: The cheesy bread that could rival pizza as the best cheese and bread combo in the world. The flavors and history of Yucatan Cuisine from south east Mexico - Think Cancun, the Mayan ruins of chichen itza, playa del carmen, Merida and more. What is traditional Mayan food? And what is modern Yucatecan fusion cuisine? PLUS a rundown of our favourite must-try dishes from the region. Is one of Mexico's most famous tacos really Mexican at all?? PLUS: Will Megsy eat the strangest pork taco filling we've ever seen!? This is the first part of our 2 part pilot release. Get ready for Foodie Info-tainment! How tacos became a dish - and when. What was the largest & most expensive taco in the world? We keep things fun, light and tasty from start to finish! The Full Season One Release Began in May 2018 and the initial 10 episode release will complete in Septmeber 2018.